Joint health is key to any horse’s performance, whether he’s a trail horse or an Olympic-level athlete. A number of factors can contribute to arthritic changes in the equine joint, and there are some things you can do to promote your horse’s joint health. We asked Dr. Laura Werner at the Hagyard Equine Medical Institute for her advice on management strategies that can help protect the equine joint. A proper calcium/phosphorus balance in your horse’s diet can aid joint health. 1. Start with balanced nutrition. Good joint health starts with good nutrition, especially when the horse is young, when the cartilage in his joints is forming. And throughout a horse’s life, maintaining a proper calcium/phosphorus balance (no more than 1:1 to 2:1 calcium to phosphorus, ideally, says Werner) in your horse’s diet can help support joint health. A recent study at Texas A & M University also suggested that resveratrol—a compound found in red grape skins and red wine—might help improve hock lameness in performance horses. “There are new developments all the time,” said Werner, so it’s worth asking your vet about current research. And don’t forget to consult your vet and make sure you know the ingredients of any supplement you administer; even “natural” supplements can sometimes result in a positive drug test at competitions (for a list of forbidden substances, see US Equestrian’s Guidelines for Drugs and Medications). 2. 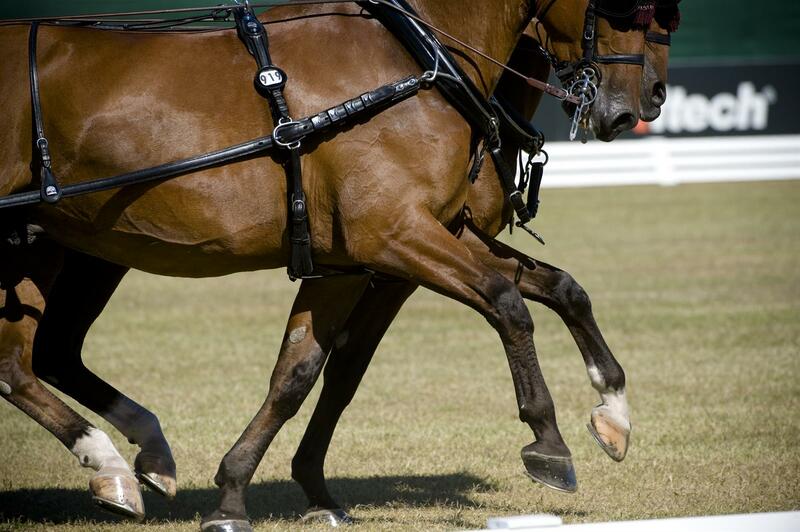 Consider your horse’s age when setting a training regimen. 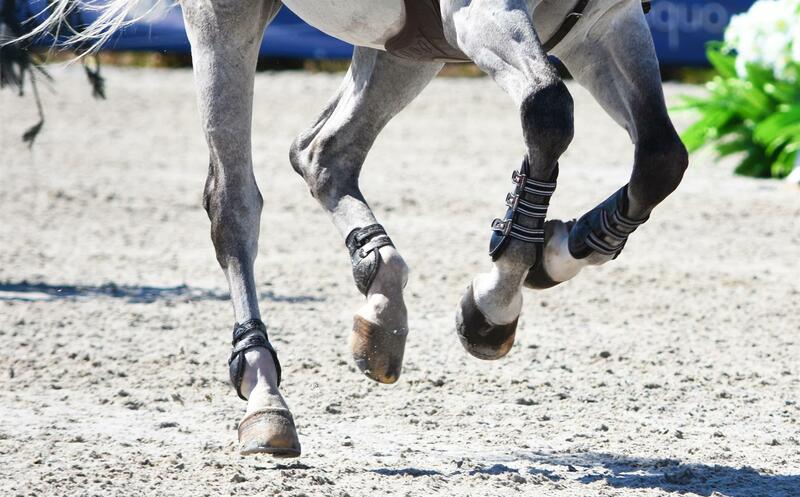 Particularly for young horses in training or already showing, it’s also helpful to avoid a performance regimen that might be suitable for an older horse but could add excess trauma to younger joints. 3. Look for low-impact exercises. Proper shoeing and good footing also play a role. “Proper shoeing and hoof care are important,” said Werner. Poor trimming and shoeing can lead to extra stress on joints, so be sure to work with your farrier to maintain your horses’ hooves well. And be aware of the footing your horse is working on, too—excessively hard footing, for example, can mean more trauma on joints during work. 5. Keep them fit and moving. This entry was posted in Education, Horse Health on August 23, 2017 by ludlumfarms.